Civilization 6 by game creator Firaxis is clearly one of the most eagerly awaited video games of 2016, and it is also clear that this latest instalment of the legendary series has a lot to live up to. Thankfully, the preview videos released by Firaxis so far suggest this could be another great entry in the series, as Civilization 6 features some gameplay innovations like the new city districts, and also the series’ usual colourful roster of leaders and civilizations to play as. Game creators Firaxis have released a slew of videos showcasing the game’s playable nations and their leaders, including France, England, Japan and also historic civs like Scythia and Egypt’s Cleopatra. The latest preview video shows Greece and its leader Pericles in action, a civilization that will have several cultural advantages in the game. This is due to Greece’s unique city district, the Acropolis, which gives players a cultural bonus when it’s placed next to the city centre (it must be built on a hill though). Also, Greece can get additional cultural points by forming relationships with the game’s so called city-states (minor civs that only possess one city), as becoming the suzerain of a city-state (meaning said city-state will accompany your civilization to war) will also help players who choose to play as Greece develop their civ’s culture. It is clear then, that Greece can easily become a cultural powerhouse in a game of Civilization 6, but if war breaks out the Greek civilization can also go toe to toe with any enemy thanks to their special military unit, the Hoplite. These military units were the backbone of the Greek armies in the ancient world, and truly held their own against invading Persian armies. In the game, Hoplite units get bonuses when fighting next to other Hoplite units on adjacent squares, meaning they can be a good defensive unit in the game. 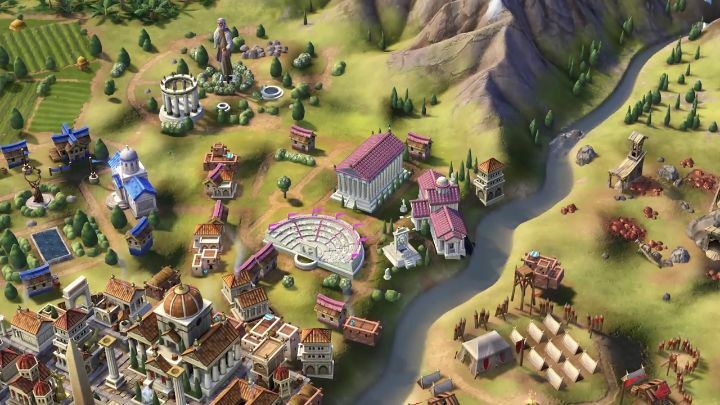 So playing as Greece in Civilization 6 will likely offer players a unique strategic challenge, and hopefully each civilization in the game will feel unique enough, giving players plenty of replay value and a good dose of brainy fun… But given that the game’s release date is around the corner, we don’t have much longer to wait to find out whether Firaxis has come up with another strategy masterpiece this year. Note: Sid Meier’s Civilization VI will be released on October 21, 2016. Available on PC and Mac. Why was Pokémon Go banned in Iran?